My visit to the Croydon Airport Museum last month enabled me to understand better the other airplanes that my father travelled on and photographed. This handsome beast is the HP42, which Geoffrey always called the Hannibal or the Heracles, and said came in two versions, one modified for altitude – since the Rift Valley in Africa means landing and take-off is at altitude and more powerful engines are required. 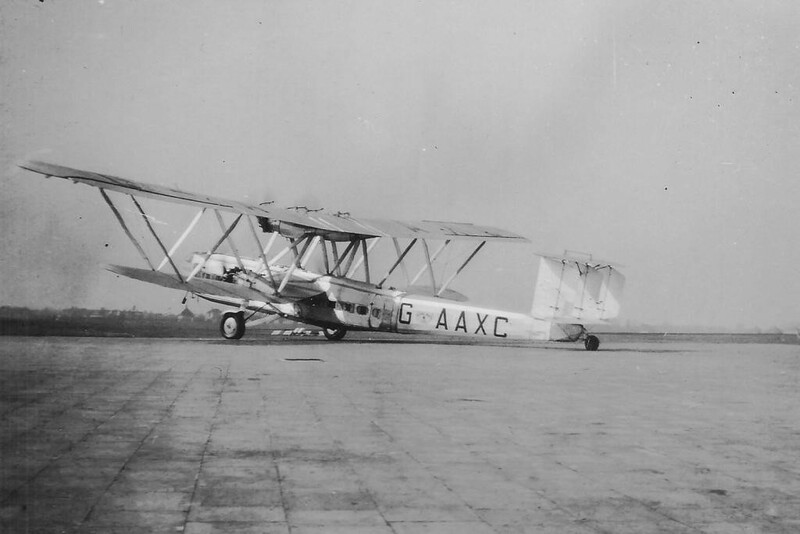 According to Ian Walker, Chairman of the Croydon Airport Society, there were only eight HP42s in service – four ‘normal’ ones and four ‘enhanced’ ones, and the normal ones did Europe, and the others did Africa and Asia. So whilst Geoffrey was right about the two types, it was to do with the range as well as the power to operate at altitude. The name thing is the oddity, though, since I have seen photographs of Hannibal, Heracles, and Hengist at Croydon, so his assertion that the two types were named Hannibal and Heracles seems erroneous. I’d like to find out the names of the others! 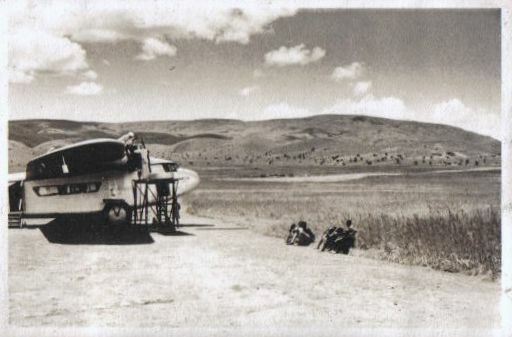 Meanwhile there were also Atalantas operational in Africa – including the one in the noonday sun at Mbeya. 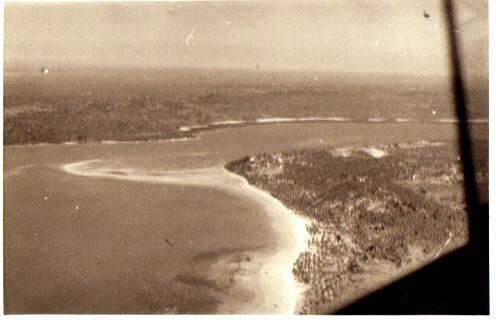 Geoffrey went down from Nairobi to Lindi with the local flying company, Wilson Airways, probably in a De Havilland Moth, and he describes circling round and the pilot deciding to land on the beach. The pictures he took of Mount Kilimanjaro might be taken from the Moth, but could possibly have been an HP42. Now I know how big those were, though, I suspect it was a Moth! Nick Stroud of The Aviation Historian tells me that he was mightily impressed by your collection of photographs when you met at the RAeS book fair: I now regret that I did not get there. He had a review from me which I gather will now appear in his next issue. He is in no doubt that I rate the book as a very important commentary on early day civil aviation. Some of your photos have been converted into CAD models that grace the airports on my flight simulator (do that sound eccentric? I am happy to send you some screenshots if curiousity prevails). Writing to you via this link – also to say the photo of the aircraft at Croydon is not an HP42. It is Short Scylla class aircraft (a few were built – a landplane conversion from the S17 Kent flying boat). Sorry to seem pedantic. Hello Mike. Sorry to take so long to reply to you. Thank you so much for your lovely review, which I’d like to post on here soon. CAD models sound wonderful, and not eccentric at all – I came across the flight simulator enthusiasts at some point in my internet searches and thought it sounded great fun. It would be great to have a C Class to fly on my computer! I’m confused about the Scylla/HP42. At the RAeS event I had my label for what I thought was a Scipio corrected to an Italian flying boat. I do have a pic of the Brindisi IAL crowd posing on a Scipio, and hadn’t noticed the different prop arrangement the Italian had. But I thought the plane above (possibly at Nairobi) was the same plane that was pictured in the Croydon pics – and I thought that was confirmed as an HP42 when I visited Croydon in April, but I may have misunderstood.